When crafting plastics! 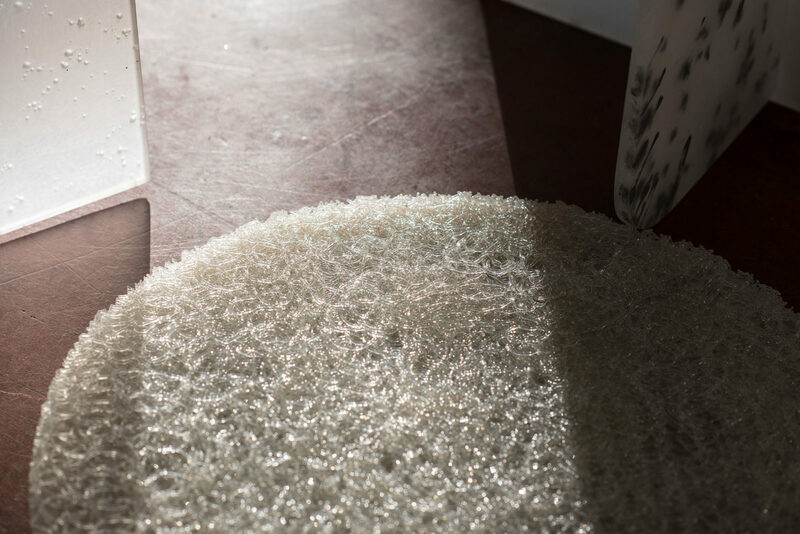 studio co-founder Vlasta Kubušová first heard of a fully biodegradable material with plastic-like attributes that was invented in her hometown, she was fascinated and couldn’t understand why we were not already using it. Together with her partner and fellow product designer Miroslav Král, they asked the scientist responsible, Pavel Alexy. Alexy and his team had just registered a related patent and his answer was simple: Join our laboratory and we will invent something together. 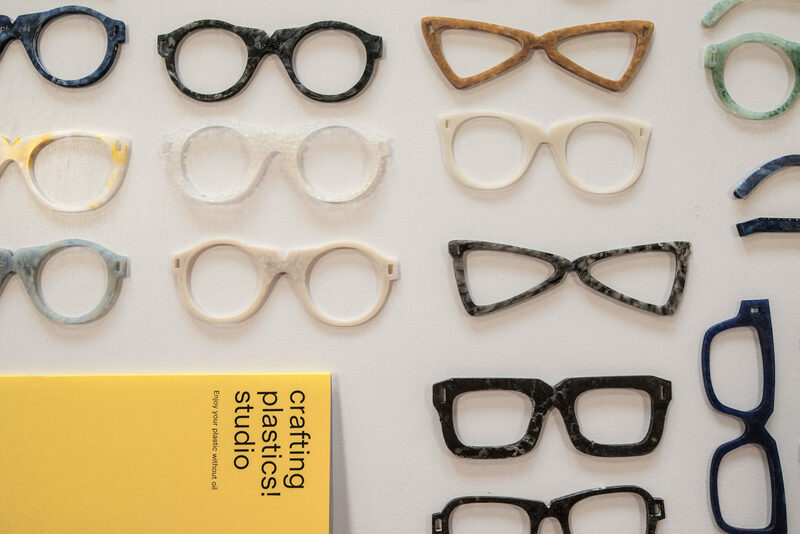 Five years later, following numerous experiments with Alexy and his team at the Slovak University of Technology, the interdisciplinary studio launched an eyewear collection made of bioplastic. “People have to touch it, otherwise they can’t believe it actually exists. We didn’t either,” says Kubušová, laughing. Unlike plastic, the eyewear material is oil-free, carbon neutral, biodegradable, and strong and stable when it needs to be. Consequently, the glasses live up to consumer demands in terms of ergonomics, functionality, durability, and aesthetics. Crafting plastics! studio deny any notion of an off-putting dirt-colored product—in fact, the timeless designs undoubtedly respond to contemporary styles. At The Sooner Now Düsseldorf Vlasta Kubušová will be discussing the use of innovative materials in the fashion industry. More about the joint initiative of MINI and FvF at the end of this piece. “Glasses are objects through which a person looks at the world, but they also influence their image,” says Kubušová. “They are different from packaging or a straw—you pick them much more deliberately.” When the heat-resistant products (the material withstands temperatures of up to 110 degrees celsius) are no longer in use and discarded into compost, they decompose entirely in 90 days—causing no environmental harm. Oil-based plastics, of which the world has produced over nine billion tons since the 1950’s, live up to 1,000 years, polluting both oceans and land. Since Kubušová completed an MA in Transfect Design Systems at Berlin’s University of the Arts with a focus on interdisciplinary work in 2015, the duo’s innovative research is ongoing. They have only recently introduced their latest brainchild called Nuatan, an equally compostable material made of corn and other renewable natural resources, which they are eager to translate into a global brand. “We have reached the point at which plastic must at least be partially replaced by bioplastic. There must be an accessible place where bioplastic can be discarded and degraded for the cycle to be completed. We’re not there yet but that’s what we perceive as our mission,” says Kubušová. 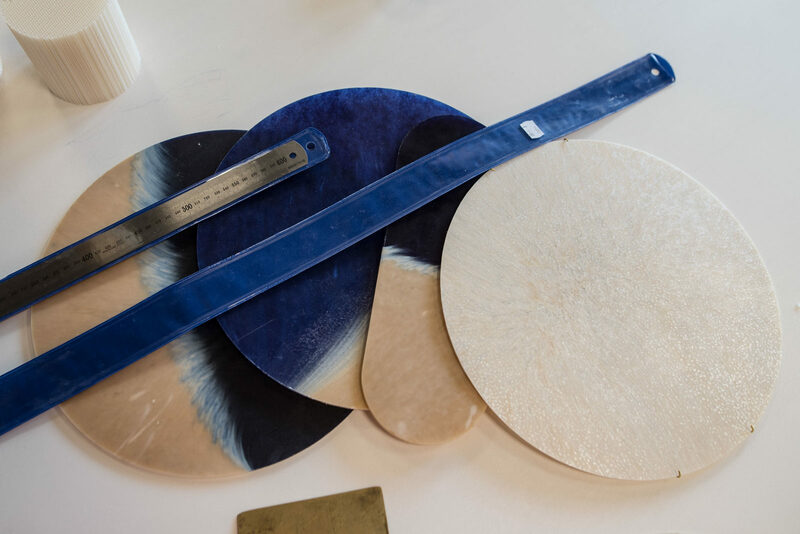 “As designers, we might expect someone to make a material, then use it to create something. We do it the other way around by working on our own product line, and have become researchers ourselves,” adds Král. 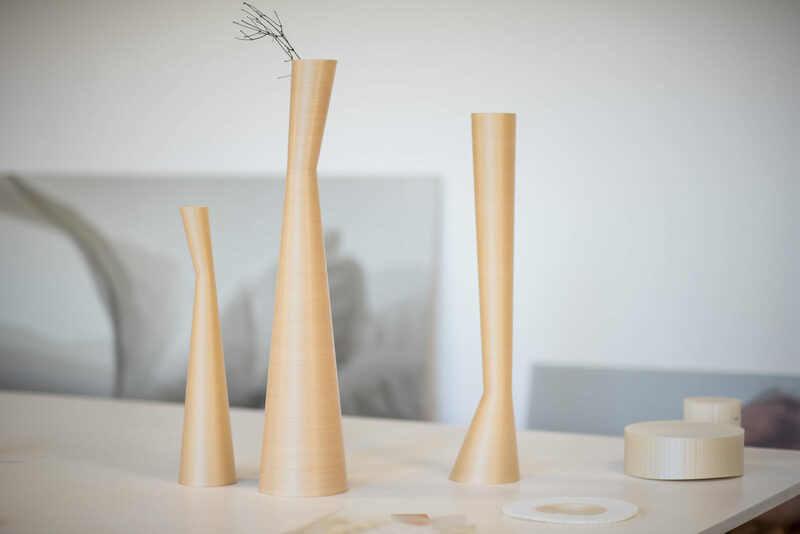 “We are developing the material ourselves because we find it meaningful, and we also use it as designers.” The goal is to demonstrate that bioplastic can be used for the mass production of packaging. “It can potentially substitute significantly more plastic products than we originally thought. To this day, bioplastic has developed so much it can be pressed into tablets, used as 3D printer refill, and can be even injected, which is the most commonly used industrial technology in the processing of plastic. Anything can be manufactured from it if we invest in further research,” says Král. Besides research, Kubušová and Král are keen to promote and raise awareness that this technology is available. “Large companies have long known they can use something more ecological, but they have no reason to transform until there is sufficient demand. That’s why we are raising awareness at different levels,” explains Kubušová from her studio, which is based inside the arts and culture center Nová Cvernovka, a former secondary school of chemistry. Three decades ago, this is where students were experimenting with chemical compounds. “We can’t be complacent about what we have. 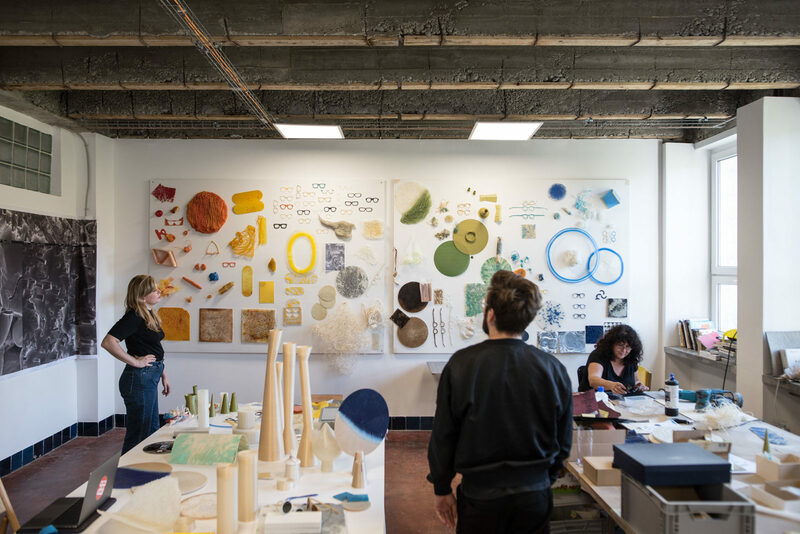 We are constantly trying to develop bioplastic and are testing all its attributes—resistance, hardness, flexibility—and trying out various natural dyes such as seaweed or food pigments that are also fully biodegradable,” Král says. Moreover, the team are examining other composites with the same decay time; Král names the experimentation with the combination of bioplastic and coffee waste as an example. Does the fashion world have a response to that? “The issue of resource sustainability is gaining attention, but I don’t feel it goes deep enough. Fashion remains fast and non-transparent. I think that this environment will need lots of time before it transforms deeply. However, it has a large impact on the new generation, which is currently deciding about its lifestyle and products to buy,” says Kubušová. She is convinced that complex problem-solving requires legislative changes at an international level, including support for companies using ecological materials and a tax increase for the production of traditional plastic. “Bans don’t bring about change on their own; an alternative must be provided. It is not enough to simply start producing recyclable straws,” she says. “Again, marketing is not enough. Nor are half-baked solutions and materials aimed at accelerating the process. We could do that, too. Had we added a few drops of crude oil in our bioplastic, it would have been the perfect material five years ago, but we reject such a compromise. Our scientists did not do that and neither will we, even if we are running out of possibilities, money, and strength. We want to be honest and we see that the research is meaningful. We have a bioplastic that is already good enough and we offer it for further development, without cheating,” says Král. The Berlin and Bratislava based interdisciplinary design studio crafting plastics! studio constantly pushes boundaries, exploring the realms of sustainability and natural resources. They develop 100% natural and biodegradable material in cooperation with local scientists, manufactured using renewable resources. 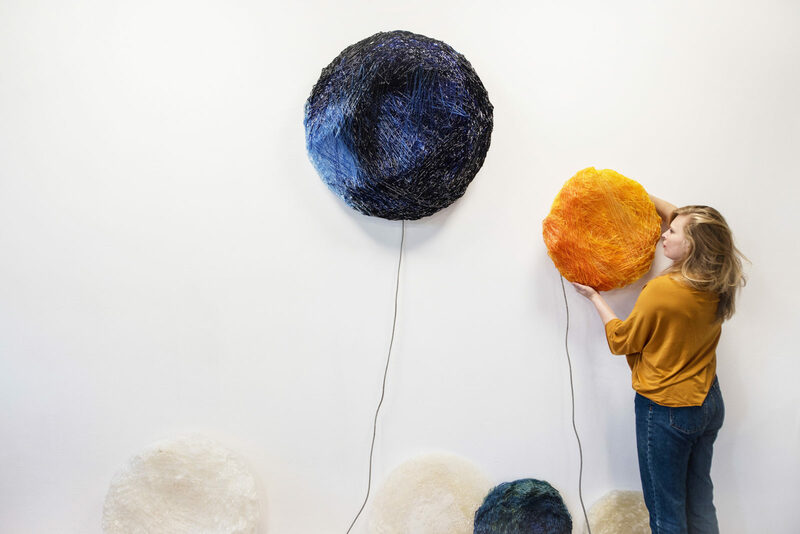 Vlasta Kubušová will give a keynote talk on the theme “Future Fashion” at The Sooner Now Düsseldorf on September 25 to address the use of innovative materials to combat waste in the fashion industry.